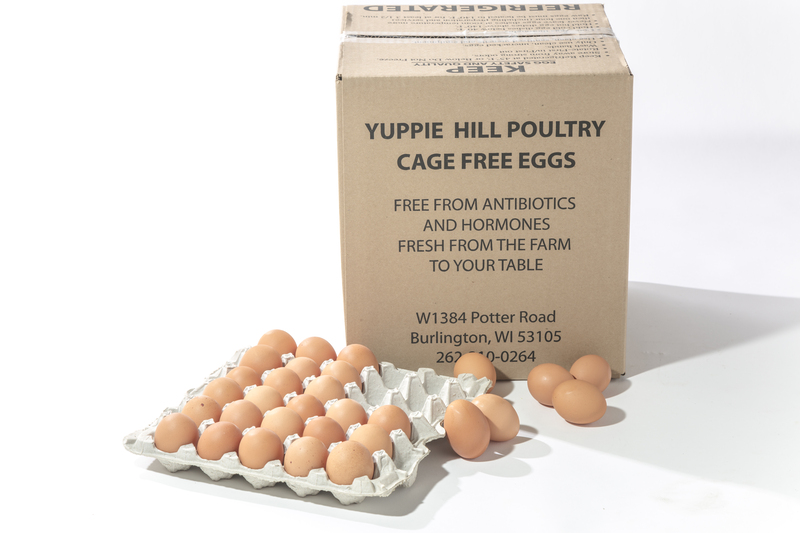 Farm hens are fed an all natural vegetarian diet, no hormones, no antibiotics. Locally grown corn & soybean based feed, producing healthy eggs that taste great and cook up well. Produced from Amberlink hens, these unique birds are mainly white with some brown feathers. They are an excellent free range bird with high livability and very efficient feed conversion to egg productivity. Our hens are fed local grains. The feed consist of corn, soy, alfalfa , linseed meal (flaxseed) vitamins and minerals.